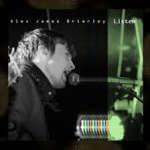 Share the post "EP review: ALEX JAMES BRIERLEY – Listen"
Alex James Brierley is a young rising star who has been playing the piano since he was six and has toured supporting the likes of Space and Scouting For Girls. On this EP he has enlisted the talents of highly regarded producer Steve Levine (Culture Club, The Beach Boys) and recorded in the legendary Abbey Road studios. The lead song ‘Listen’ (on here twice, the full version and a radio edit) is a blissful piece of upbeat piano led pop rock, with its memorable chorus and lush production it is made for daytime radio and deserves to be a hit. Echoes of Coldplay in the sound, which is no bad thing considering that band’s success. But Alex James Brierley has a surprise for us on the rest of the EP as ‘Wait On The Floor’ taps into an indie rock sound with chiming guitars and a trippy beat. The other song on here ‘Opening Doors’ is mellower affair and shows Alex’s voice off to good effect. The lead song on the EP ‘Listen’ is a really strong song. How did you go about writing the song? This song was written when I was about 15, I used to listen to Coldplay’s earlier albums a lot, and the echos of soft rock inspiration have come from this band. The lyrics were written for a girl who had mixed emotions at school, I’m a bit unsure of the story its quite a blur now, but the song is suppose to provide hope to the listeners. I wrote the song on the piano starting with the chord progressions and then structuring together the different sections. Lyrics and melody were then created and extra parts were just improvised over the top. The final track is a re-vamp of an original demo. How did you hook up with Steve Levine and what was it like working with him? From touring the UK supporting a rock band called SPACE who were big in the 90s, we found out that they were recording a new album with Steve Levine. We asked to be introduced to Steve and eventually a meeting was set up, Steve asked if I could demonstrate a song on the acoustic guitar. This was quite a nerve-racking performance despite there only being a few people in the room, but I went through with it. Steve liked the tone of my voice and the sound of the song Wait on the Floor, this is the first track we recorded in progression towards the release of the EP. To someone new to your music, how would you describe it? Alternative rock music often with a commercial vibe. Singer-songwriter style songs. Who or what inspired you to first start playing and making music? My main inspirations are Coldplay, Stereophonics, Radiohead, Bloc Party, Killers and Kings of Leon. I used to write a lot of poetry at school despite hating English lessons with a passion. At the same time I enjoyed experimenting with instruments especially guitars and piano, this lead to chord structures being made which developed into song structures. Once I decided to put lyrics into the first song I ever wrote called Reality, I never ever stopped writing songs. How did you get into the production side of music and in an ideal world who would you like to produce/work with? I started to producer music because I needed a way of recording my ideas down. Not just a simple instrument and vocal, I wanted to be able to layer up several different instruments at once. My dad introduced me to Cubase, and over the past decade from using it none stop I became quite a wiz. Music production is what I study for my university degree. In an ideal world I would love to have a go at recording a song working with anyone from my main influences because those people have been the soul source to my songwriting influence. This entry was posted in All Posts, INTERVIEWS, Interviews/Rising Stars, Single and EP reviews and tagged Abbey Road, Alex James Brierley, EP, indie, interview, Listen, pop rock, review, Rising Stars, singer songwriter, Steve Levine. Bookmark the permalink.